Can a Raspberry Ketone Supplement Help You Lose Weight? This new supplement is quickly gaining popularity with people trying to lose weight. 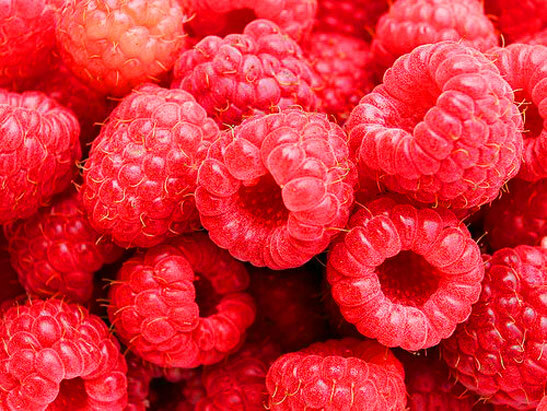 With claims of burning body fat and images of juicy raspberries, a raspberry ketone supplement sounds highly attractive. But will taking this diet pill, praised by Dr. Oz. himself as the “miracle fat burner in a bottle”, help you with your weight loss goals? Let’s take a closer look. Raspberry ketones are phenolic compounds (a class of natural substances found in plants) derived from red raspberries. Raspberry ketone is derived from an enzyme found in raspberries. This enzyme has been found to help burn fat. Raspberry ketones work to generate adiponectin in the body. This is the hormone that stimulates the body to burn fat. Researchers have long touted the antioxidant properties of raspberries. Full of health benefits and healing properties, these red berries are a rich source of antioxidants and nutrients that help fight diseases. They are also a great source of Vitamin C.
What Are The Other Ingredients in a Raspberry Ketone Supplement? In a raspberry ketone supplement, the important enzyme is combined with other natural ingredients such as African Mango extract, Acai berry, and Apple Cider Vinegar. The result is a raspberry ketone supplement that is natural and effective at promoting weight loss by burning fat, and increasing the metabolism. Acai berries are praised for their health benefits, containing healthy antioxidants that aid in weight loss. African mango extract helps speed up the metabolism and as a result helps to burn excess fat in the body. Apple cider vinegar has been used for centuries as a natural home remedy which promotes digestive health, aids in weight loss, and helps to suppress the appetite. Green tea extract and kelp extract. Some of the raspberry ketone supplements on the market also contain green tea extract which contains antioxidant properties that enhance weight loss. Kelp extract contains many important nutrients and can help boost the body’s immune system. While eating fresh raspberries is the best way to reap all these benefits, it is simply not possible to consume the 90 pounds of berries needed to achieve this. A raspberry ketone supplement is an easier and quicker way to gain the same benefits while helping your body burn unwanted fat. Are There any Side Effects Associated with Taking a Raspberry Ketone Supplement? Raspberry ketone is a natural supplement and considered safe. A raspberry ketone supplement works best if you drink a lot of water, stay hydrated, eat a healthy diet, and include exercise in your daily routine. Raspberry ketone supplements can be found in health food stores and online supplement stores. You should choose a manufacturer known for their attention to quality such as Labrada or Bionutrition. They come in capsule form. It is suggested that to work effectively, you should take about 200 mg per day of a raspberry ketone which is usually 2 capsules per day. Most ketone supplements contain 100 mg raspberry ketone per capsule.